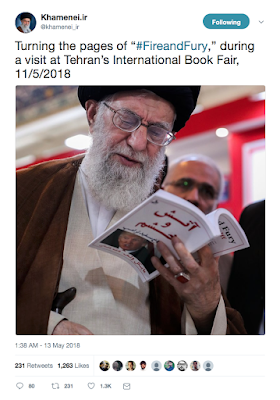 While the world seems to hang on every utterance from Donald Trump's Twitter account, his preferred method of communication, there is another world leader that also has a Twitter account that he uses for similar purposes; to send messages to the world and to propagate his agenda to the citizens of the country that he leads. 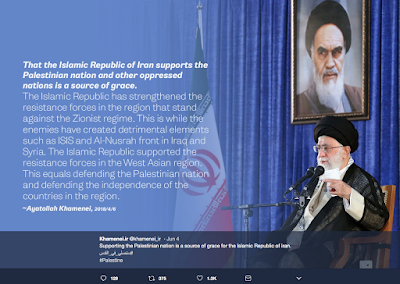 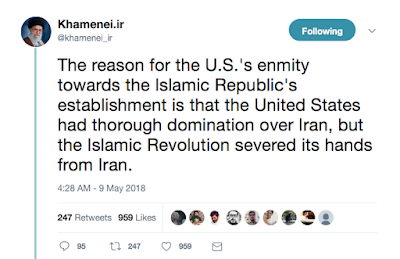 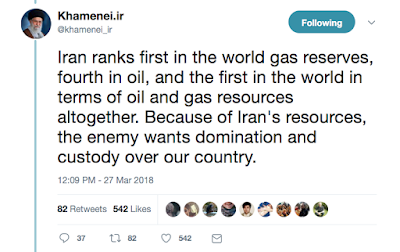 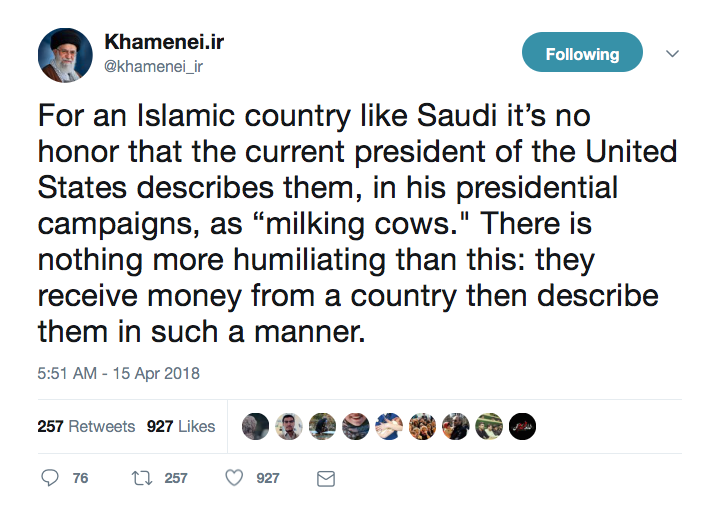 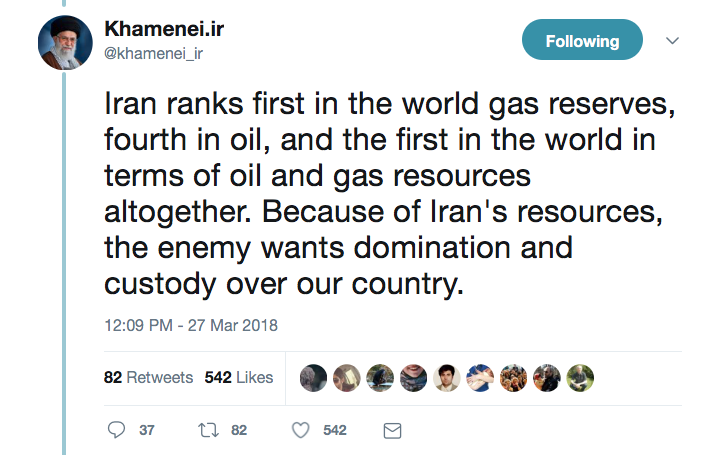 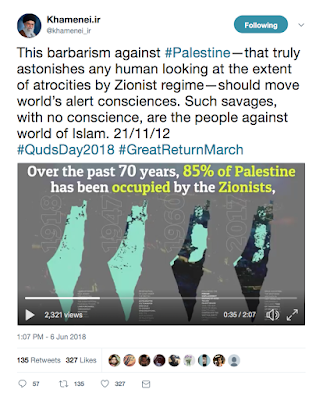 Ayatollah Khamenei, the 78-year old Supreme Leader of Iran who assumed office in June 1989 has a Twitter feed which was launched in March 2009 that provides us with an inside glimpse into the mindset of the religious ruling class in Iran and how they feel about their long-time adversary, the United States. 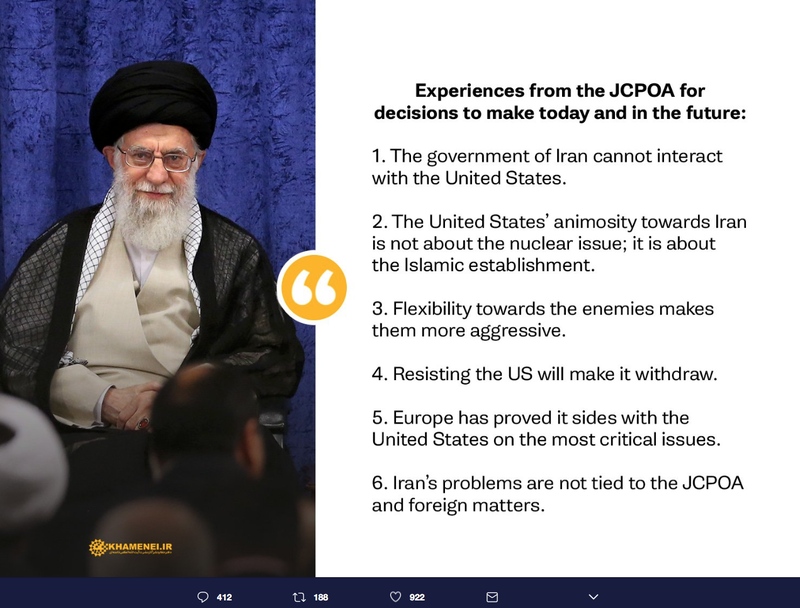 In this posting, I want to provide you with a few of his postings that are of interest, particularly in this time of growing geopolitical tensions in the Middle East. 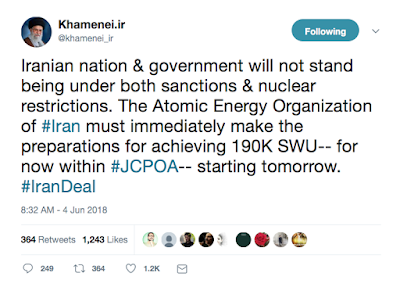 We will start with the most recent tweets and work backwards in time over the past two months. He also notes that the Palestinian cause is not a tactical issue, nor is it a political strategy. It's an issue of beliefs, an issue of the heart and an issue of faith. 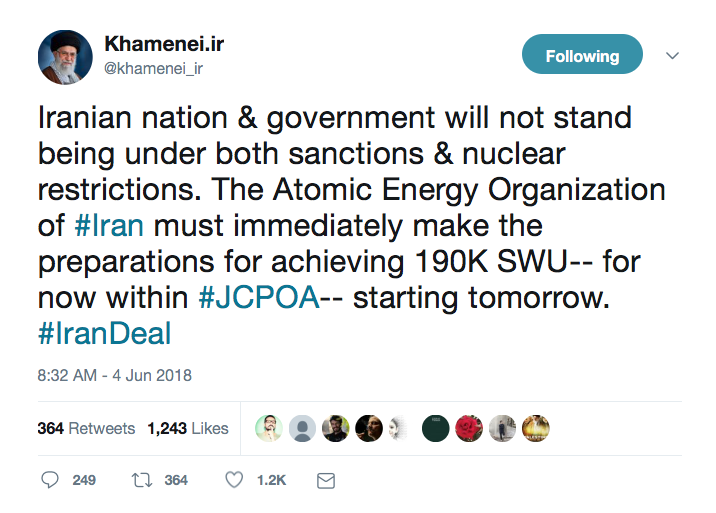 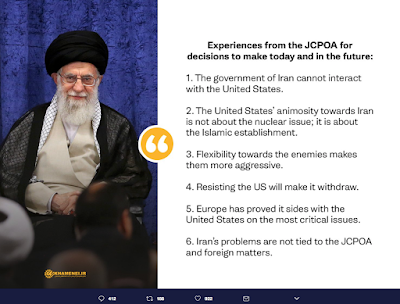 This tweet was preceded by several tweets on May 23rd where he outlines his thoughts on how Europe should respond to the U.S. withdrawal from the JCPOA including guaranteeing business transactions with European banks, guaranteeing the sale of Iran's oils and standing firmly against the U.S. sanctions on Iran. While these are but a very small sampling of the Ayatollah's Twitter feed, they certainly provide us with an interesting glimpse into the mindset of Iran's leadership. 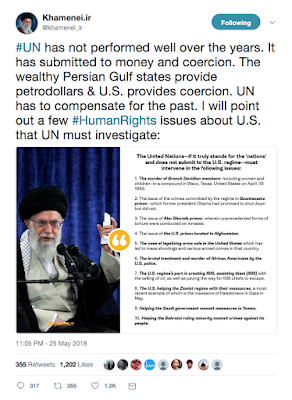 Despite what we are told about Iran by the Western media, it is quite apparent that they have a good grasp of their current geopolitical reality, particularly the reasons for the ongoing friction with the United States. 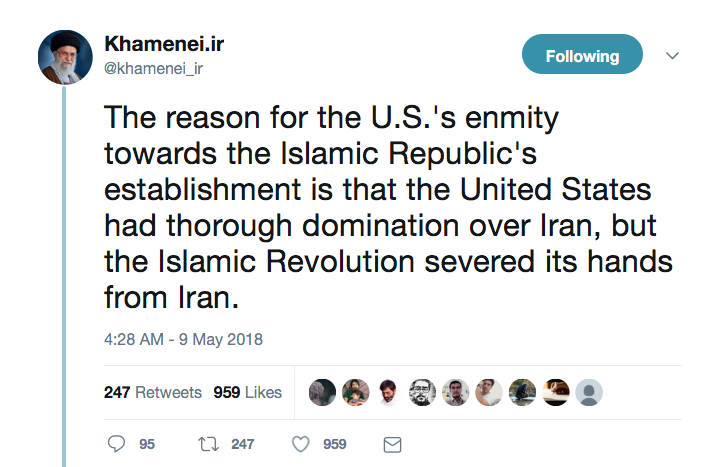 At the very least, some of his logic is pretty hard to argue with and should not be dismissed out of hand simply because his nation is deemed part of the "Axis of Evil".